Instructor User Guide LessonsHow do I limit access to Lessons page items to groups? Instructors can limit access (i.e. 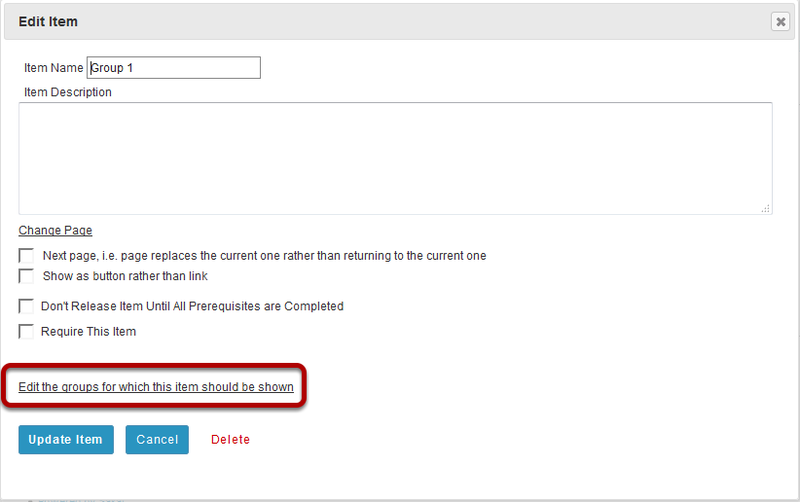 specify conditional release) to items added to a Lessons page or subpage by group. Note: The site must have existing groups in order to limit items to groups. See How do I create groups? for more information on creating groups. Click on the Lessons Page Title (e.g. Week 3 & 4) in the Tool Menu to display the page. Click the Edit button for the item you want to restrict to a group or groups. Click Edit the groups for which this item should be shown. This will display a list of the site's existing groups. Select the group(s), then click Update Item. View item on the page. Zoom: View item on the page. 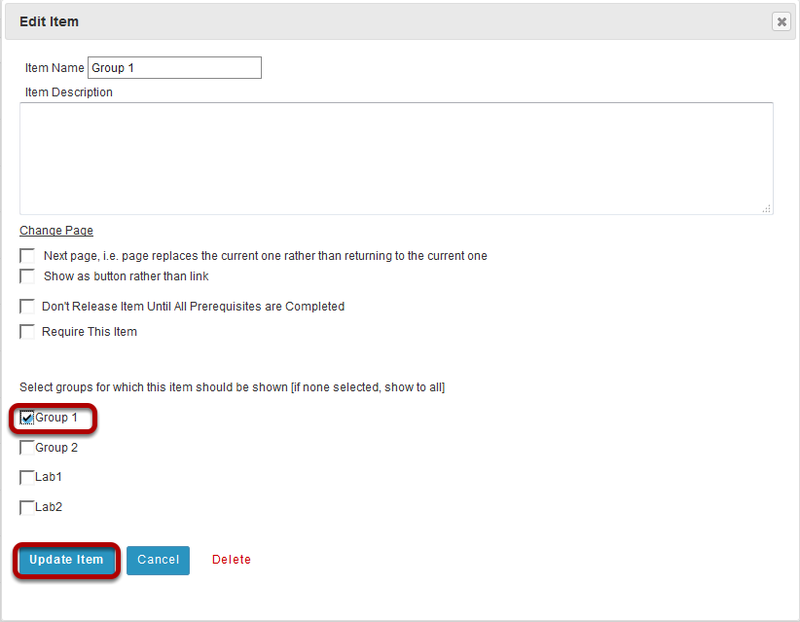 Note: All items that can be added to a Lessons page can be limited to a selected group (or groups) via the Edit button. Prev: How do I delete items on a Lessons page? Next: How do I add subpages to a Lessons page?